These are creative, beautiful and simplistic all at the same time. Trying to decide on what tattoo you want to get can be SUPER stressful. 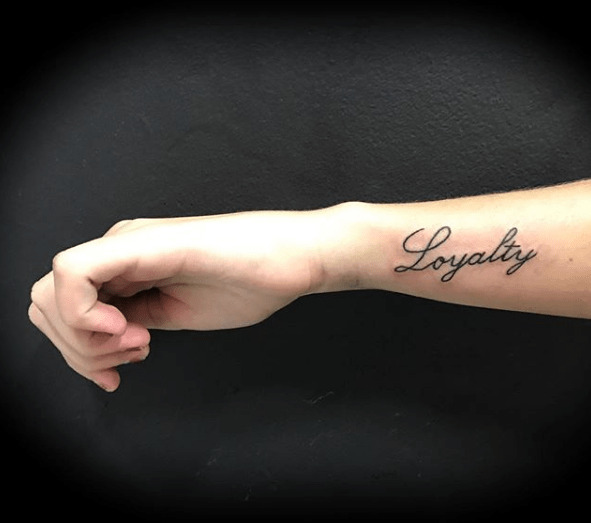 I know when I was considering my first tattoo, I had about ten different ideas that all seemed great, but were just not perfect – or “me” – enough to commit to. 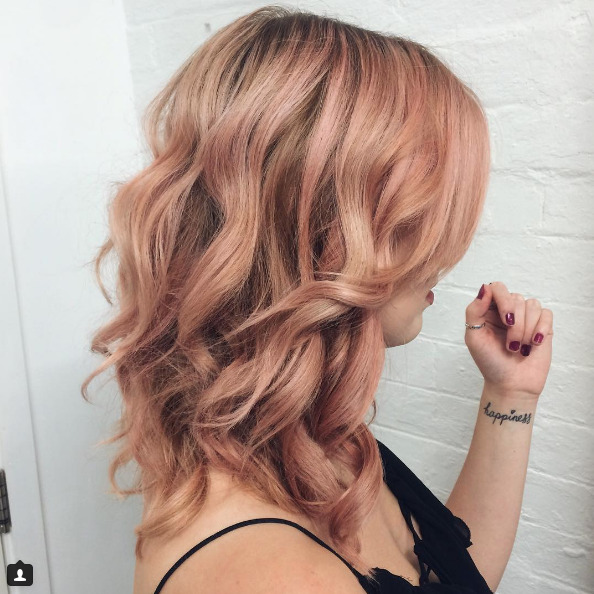 I eventually got something I was happy with, but now that I am starting to save up some cash for my next tattoo, I’m feeling that indecision creep up on me again. 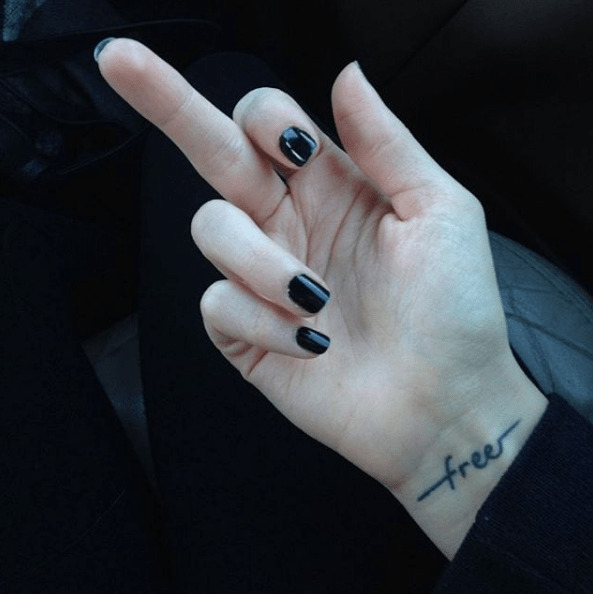 One kind of tattoo I’ve always been fond of is the one word tattoo. 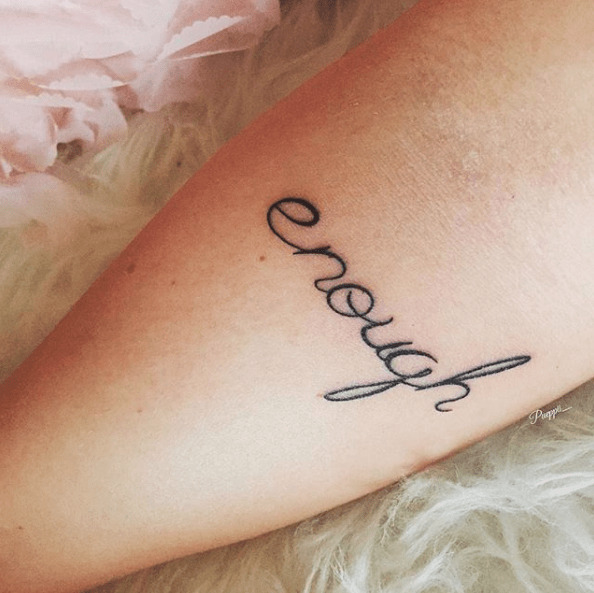 One word tattoos can make a HUGE statement, or mean something really deep and important, especially if it really captures your personality or being. That said, actually thinking of a word that’s original and personal enough to put on your body can be a long process, so I recommend giving yourself a good few months to really toss around some ideas before you settle on one. 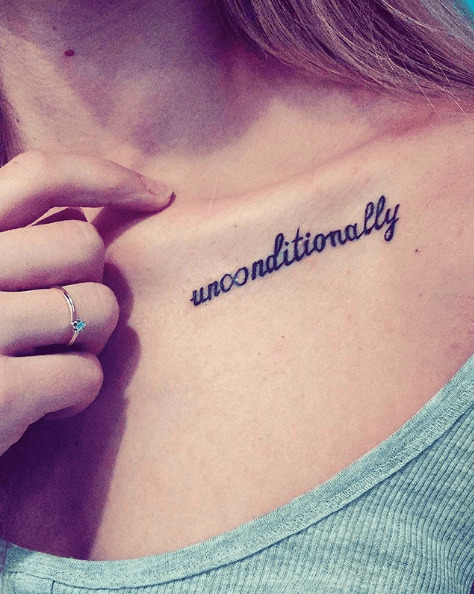 It can be easy to want to get a one word tattoo that you see everywhere online, much like it seems like a good idea to get a butterfly or infinity loop simply because everyone has one, but finding that one perfect word to get tattooed on your body is what will take it from ordinary to totally you. And trust me when I say that it’s better to wait a year to find that special word instead of getting overexcited and getting something done tomorrow. 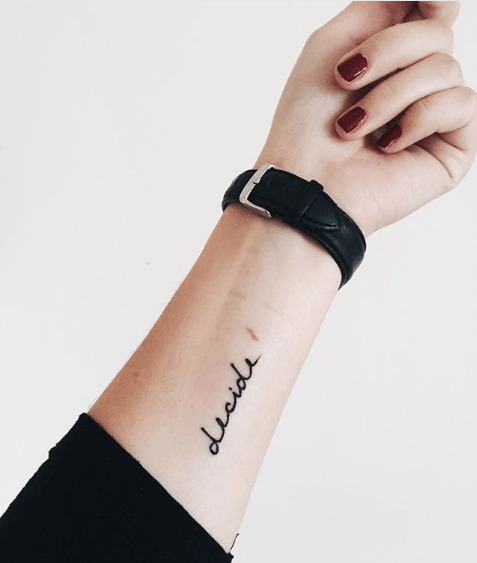 Being the giant book nerd that I am, a great place to start when looking for the perfect word (or quote) for your next tattoo is your favorite book (or movie or song if that’s more your thing). Books and songs are great because they can have totally unique words that only mean something to you (and the person who wrote them, of course). 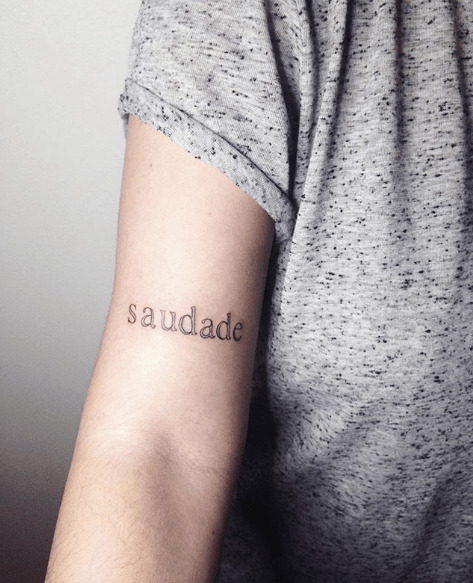 Another thing that’s important to remember about finding the perfect word for your next tattoo is that it doesn’t have to be in English – or any language you speak, for that matter. 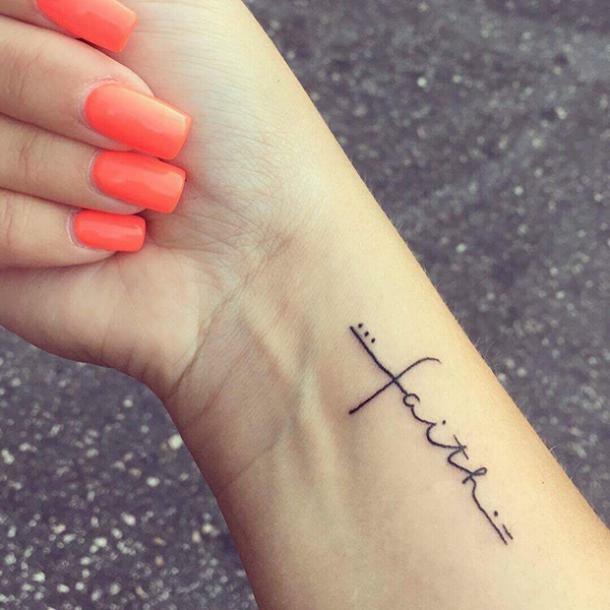 Though it does help to know what your tattoo means before you get inked. There are so many words out there in other languages that invoke a feeling or describe a situation that could take you a paragraph to explain in English, which, in my opinion, can be more special than just choosing any word. And if that doesn’t make a meaningful statement or complement your complex personality, nothing will. 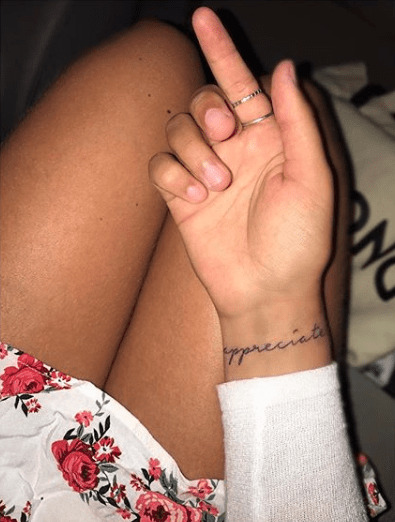 Plus, no matter what word you choose – in English or otherwise – it’s a great conversation starter and will probably be one of the more memorable tattoos you get. 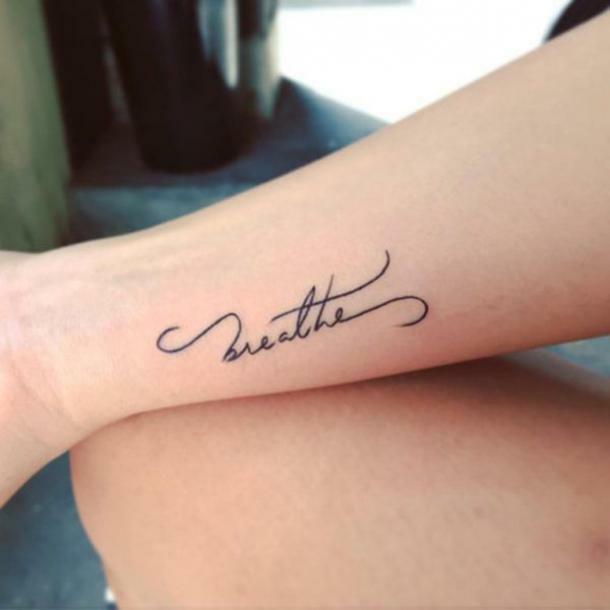 To help get you started, here are the best one word tattoo ideas to inspire your next ink. Under the arm on the ribs. Something sweet and simple on your wrist. 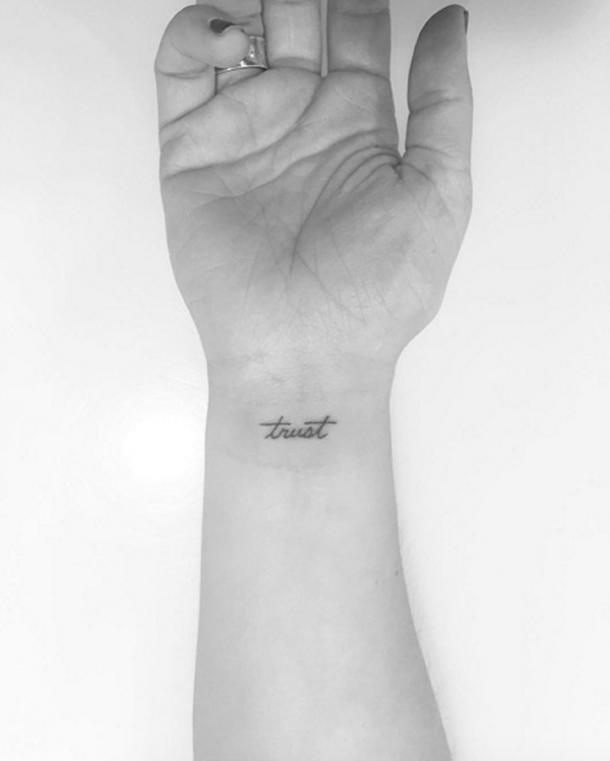 To remind you who to trust... and who not to. To remind you where you stand. Simple way to show how you choose to live your life. For when you're feeling down. To remind yourself of what you're working for. To help push you in the right direction. To remind you that there's always a bright side. To remind you of the type of love you deserve. To remind you to be grateful of the things in your life. A Portuguese word that means "a feeling of longing, melancholy, or nostalgia". To remind you to smile. Sometimes we all need a little reminder to be happy. This tattoo is perfect for all of the self-aware people who want a reminder of what's most important. Good things happen when you believe, so why not get it tatted where you can see it every day? A "live" tattoo right on your ribs? VERY deep. 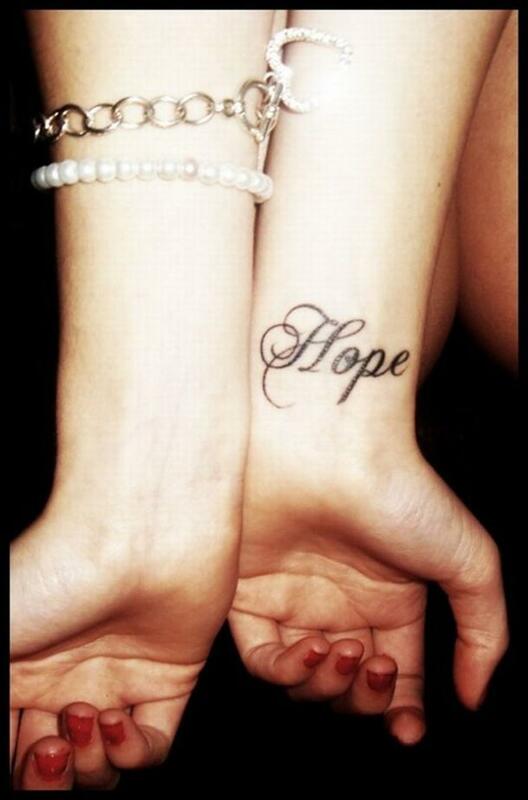 This tattoo means "hope" in French, which is both super romantic and super mysterious. 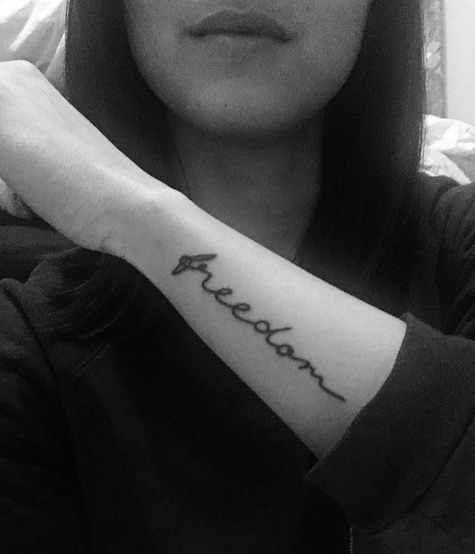 What I love most about this tattoo is that your dreams are almost always crazy and over-the-top, so your tattoo of the word should be the same, right? 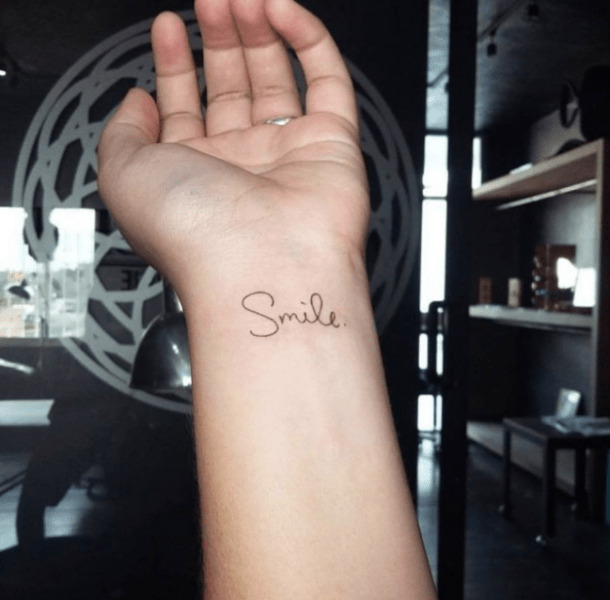 This tat is both dainty and straight to the point, and is perfect for anyone who always has a smile on their face. 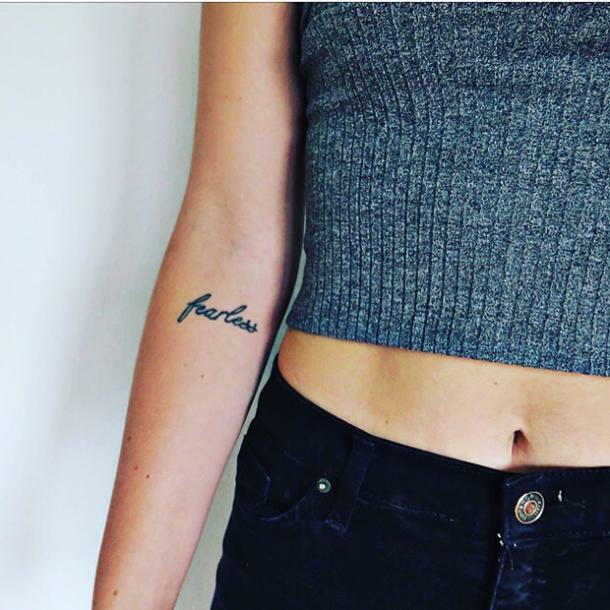 Having a tattoo that says "fearless" might just be the trick to actually make you feel more fearless - plus, the placement is really flattering. This placement reminds me of Lana Del Rey and the word will remind you to never tie yourself down. At first glance, this looks like it's just a rose tattoo with a fancy stem, but it really says "beautiful," which it really beautiful. 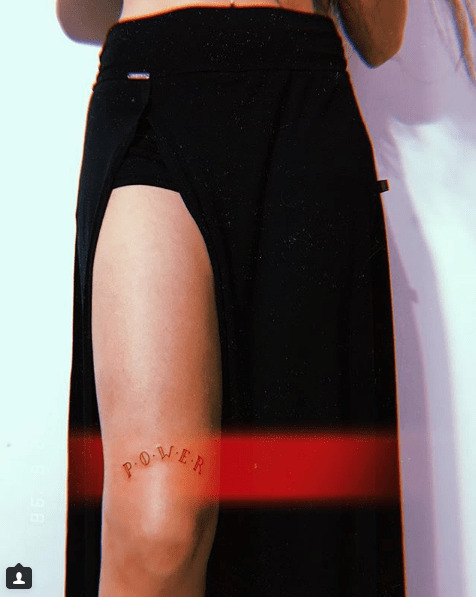 Whether your soul is most important to you or you just want a little more soul in your every day life, this tattoo is for you. Of course, everyone knows that Ohana means family, thanks to Lilo and Stitch, but it's still an important thing to remember. Love to travel or wish you could be traveling the world right now? Then this is your next tattoo. Courage is important to have, but sometimes, we could use a little reminder when times get tough. If you're a yoga fan or you just need some balance and a peaceful word, a "namaste" tattoo is perfect for you. 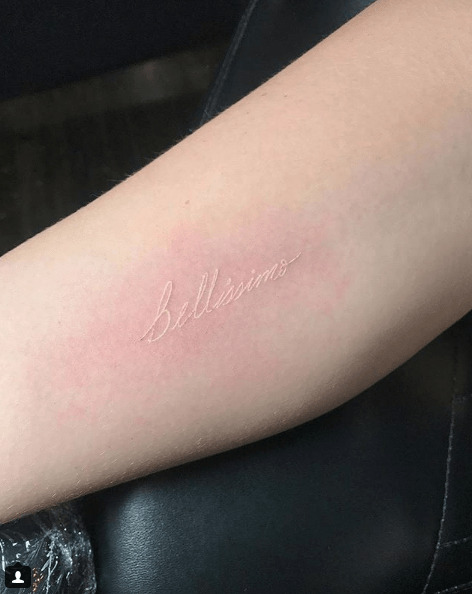 People are brave for a lot of different reasons and sometimes, you just need the word right on your body to be that reminder when you're not feeling so brave. Being resilient means being able to get back up after being knocked down, so if you're a tough cookie, this should be your next ink. We're all a little strange, or peculiar, so why not let the world know you're not afraid to be yourself? If you're always looking for adventure, whether that's through travel or life experiences, this is perfect for you. Okay, so "let it be" may not be one word, but you can make it look like one!